These baskets are great for home décor or used to organize and store home and office items. Would also make a good gift basket or centerpiece for parties or events. Includes a plastic liner to help prevent leaks when used with floral arrangements. Item comes with a hard plastic liner. 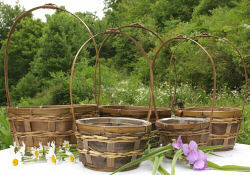 I use the 6.5 inch round bamboo baskets in my business and I love them. They're high quality baskets for a great price. 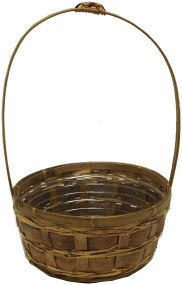 These baskets are great for home décor or used to organize and store home and office items.